As the Croatian Government announced tax reform and sent several amendments of the tax legislation to the Parliament procedure, it is likely that 2017 will bring significant changes to the Croatian tax system. The two main objectives of the reforms are: increasing the sustainability of the general state debt and promotion of growth and employment in the Croatian economy. The aim is to reduce the overall tax burden, to promote the competitiveness of the economy and to introduce a sustainable and simple tax system that may be supported by cheaper tax administration. In the corporate profit tax sphere, the general tax rate will be reduced to 18%, while the lower rate of 12% will apply to taxpayers with annual turnover up to TEUR 400. The popular incentive (tax exemption) for reinvested profit is being abandoned and regional and other tax related incentives are kept only under the Investment Promotion Law. In order to combat illiquidity and insolvency of the private sector, the proposal aims to reduce the share of non performing loans in the finance sector by introducing one time measure to write off bad and doubtful debts with the relevant cost being fully tax recognized. Obstacles to the development of foreign and domestic investment should be further eliminated by introducing the possibility to sign the advance pricing agreements. Further details are also introduced with respect to interest applied in the related party financing. In the personal income tax sphere, the increase of the tax-free allowance and the reduction of the top tax rate is aimed to reduce the overall personal income tax burden, allowing Croatia to be a more competitive environment for highly skilled personnel and professionals. At the same time, the reform introduces social security liabilities to specific non-employment types of income as well as synthetic taxation of other income (leading to more fair participation in the overall tax / social security burden). In the VAT system, VAT rate on certain goods and services (e.g. electricity supply) is reduced from 25% to 13%, while increased from 13% to 25% for example on hospitality services (but not for tourism and hotel accommodation services generally, which will continue to apply reduced VAT rate of 13%). As of 2018, both VAT rates will be reduced: to 24% and 12% respectively. Threshold for entering the VAT system is increased to TEUR 40. Billing method (as opposite to payment method) will be applied for VAT due at import of high value machinery and equipment. Amendments to the VAT Law also address VAT treatment of transfer and utilization of value-coupons. Further liabilities are introduced to taxpayers who participated in Carousel fraud or similar fraudulent activities where VAT obligation remained unsettled as well as to taxpayers who did not pay to the supplier at least the amount of VAT charged for the supply received in the prescribed deadlines. Changes are introduced also with respect to the tax procedures, whereas the 3-year relative statute of limitation is abandoned and a single 6-year statute of limitation is introduced. The tax inspections, however, will be allowed only within 3 years from the commencement of the statute of limitation. Deadline for correction of the tax return is prolonged from 1 to 3 years. The above represent only a high-level overview of most significant changes to the Croatian tax system, while details and several other types of fiscal liabilities are not addressed. The entrepreneur community in Croatia would really like to see the reduction in overall tax burden and promotion of the competitiveness of the Croatian economy, through assertive strategies and the much-needed predictability of economy. It, however, remains to be seen whether the new tax reform and its many specifics, such as increased amounts of tax-deductible entertainment expenses, deductible input VAT on cars, elimination of exemption for first property acquisition while reducing of real estate transfer tax rate from 5% to 4%, are indeed the real answer to Croatian economic challenges. Tamara advises clients from various industrial sectors regarding tax implications of international transactions, application of treaties on avoidance of double taxation, restructuring of companies and indirect taxation. 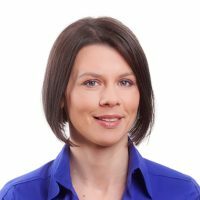 Tamara is especially experienced in advising clients with regard to tax aspects of doing business in Croatia, transactional strategies within M&A procedures, and regulatory projections re potential investments, in particular in the context of gas and oil offshore and onshore exploration in Croatia.